BIG snow fall here this past weekend so I guess, against my springtime wishes, winter is still here to stay! 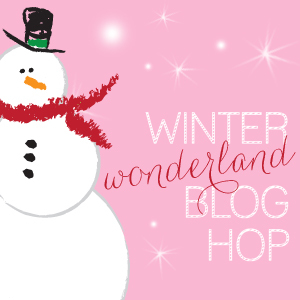 Today, we are so excited to join a great group of bloggers for the Winter Wonderland Blog Hop that features some fun and awesome winter-themed crafts, recipes, printables, and more. 1. 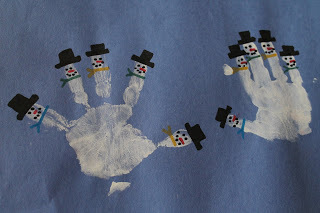 FROSTY Hands: My boys are in love with the movie, Frosty the Snowman, so this craft was perfect for them. We love painting hands or feet so this was a fun project for the boys. Each boy made a handprint on the paper. Then, we added eyes, nose, scarf, and hat to make little Frosty hands! 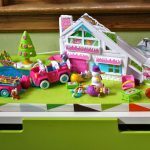 Directions: Glue the toy to what you are going to use to “prop it up higher”. Then glue the toy & “prop” to the inside of the baby food jar lid. Fill the baby food jar with water, about 3/4 full. Sprinkle in glitter. Screw on cap. Then we put another line of glue around the lid to prevent leaking & added some ricrac for fun! And now for the big craft FAILURE! 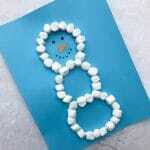 We decided to attempt to make those cute glue “snowman” that I have seen searching the web for winter crafts. 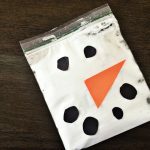 We put glue down on parchment paper in the shape of snowman (I think this was my problem as I was supposed to use wax paper, but I didn’t have any so I was trying to substitute! Or maybe I didn’t get the glue thick enough, anyone have advice on what happened?). After making the snowman, we decorated with pom-poms, wiggly eyes, pipe cleaners, and glitter! The boys had a lot of fun with this project and I thought that the snowman turned out really cute, right?? Hope you enjoyed our winter “activities” for you! 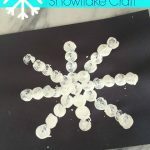 On the hunt for more winter-themed crafts? These are GREAT! 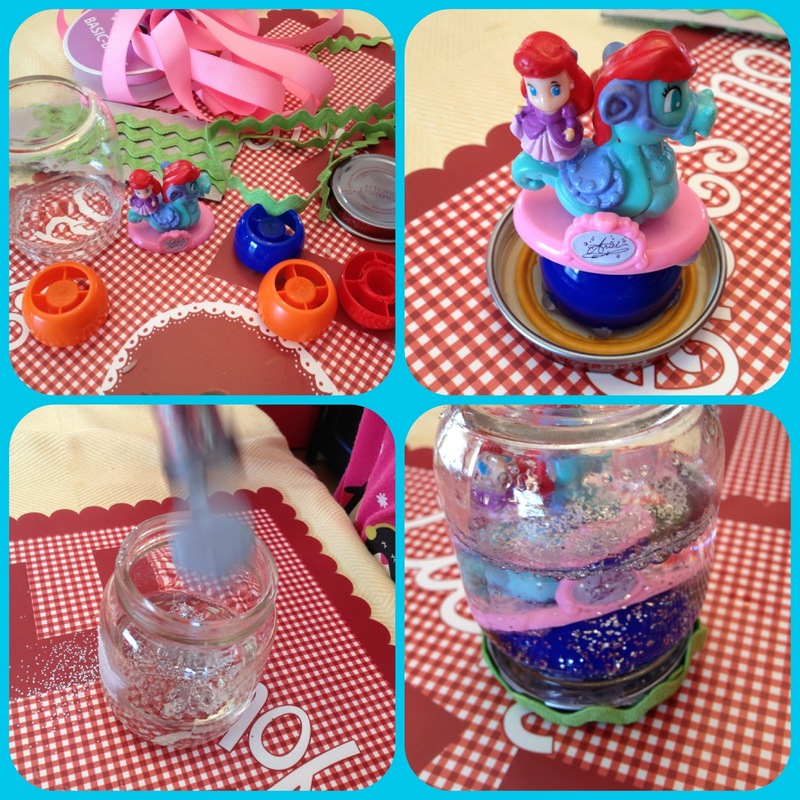 I am going to have to make those finger print snowmen and the little snowglobes with my girls…they'd love that. And such a bummer on the glue snowmen. what lovely ideas!!! 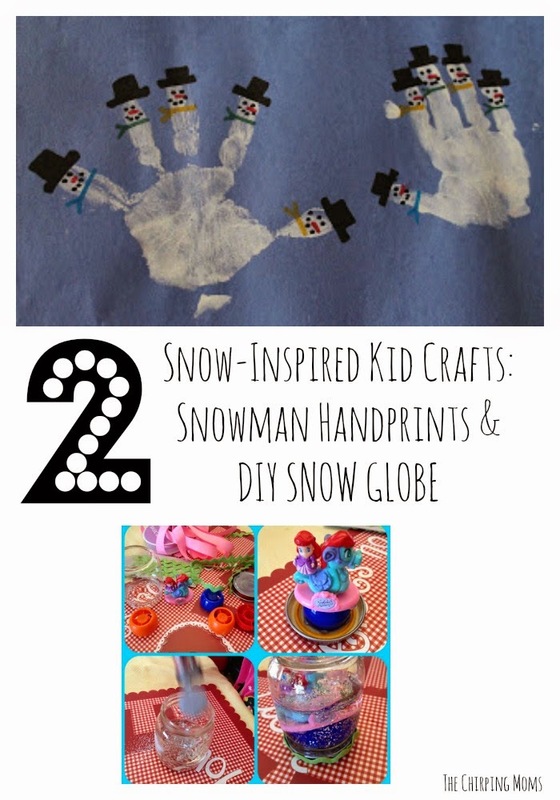 Love the snow globe idea and the fingerprint snowmen are adorable! Thank you so much for being part of the hop! What great ideas! Perfect for snowy days inside!